This week we want to share with you our new book: “Design Sprint”. What do you need to build a successful digital product? Reduce the risk. 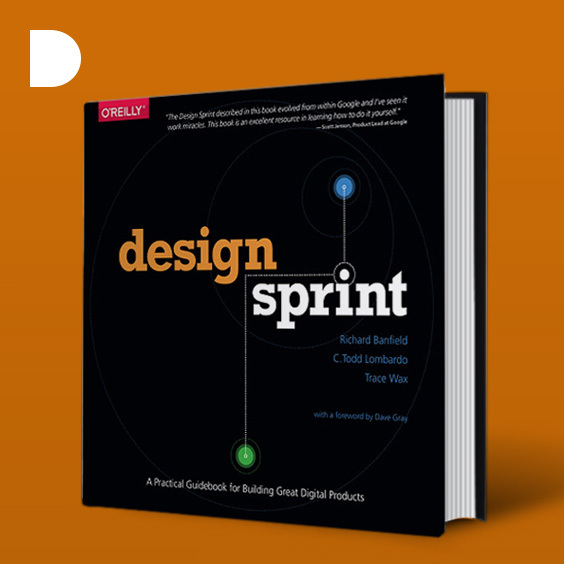 This week we share a new book, this time on Digital Design, “Sprint Design: a practical guide to creating good digital products, written by three authors: Richard Banfield, C. Todd Lombardo and Trace Wax, published by O’Reilly Media, Inc, USA in 2015. Its purpose is to show exactly how a design sprint can involve and how you can incorporate the process into your organization. Design sprints not only allow you to test ideas of digital products before investing too many resources in a project, but also help to integrate all the participants (team members, decision-makers or users). You will know if it is worthwhile to continue with a project idea. This book allows: to clarify the problem, identify the needs of users and explore solutions through brainstorming and sketching so you can test the prototype with the end users who use it. by @Richard Banfield @Todd Lombardo and @Trace Wax.